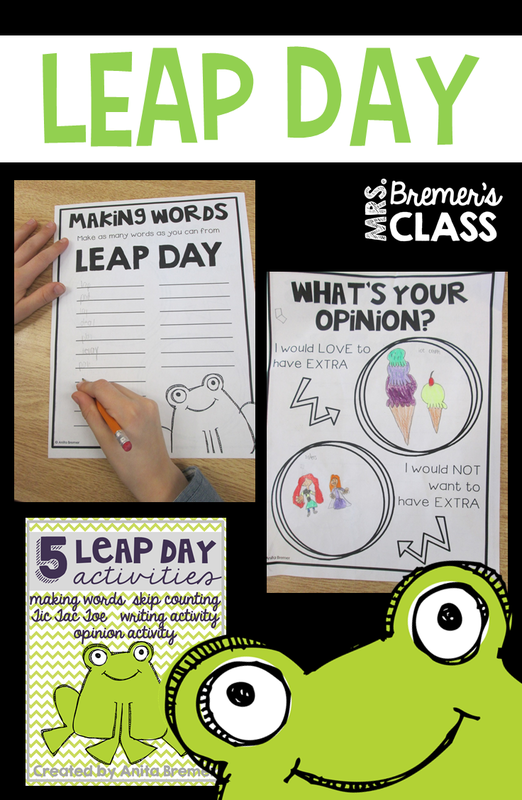 Mrs. Bremer's Class: Leap Day Activities! Why is it that when a day is added to a year, it's in the winter...why can't it be in the summer??? Anyway, our class did a few fun Leap Day activities to celebrate. And it was extra special, since one of my students celebrates a birthday today...his 2nd...aka 8th! We have been practicing skip counting, so this day was a great opportunity to skip count/leap around the numbers to count by 2s, 5s, and 10s. 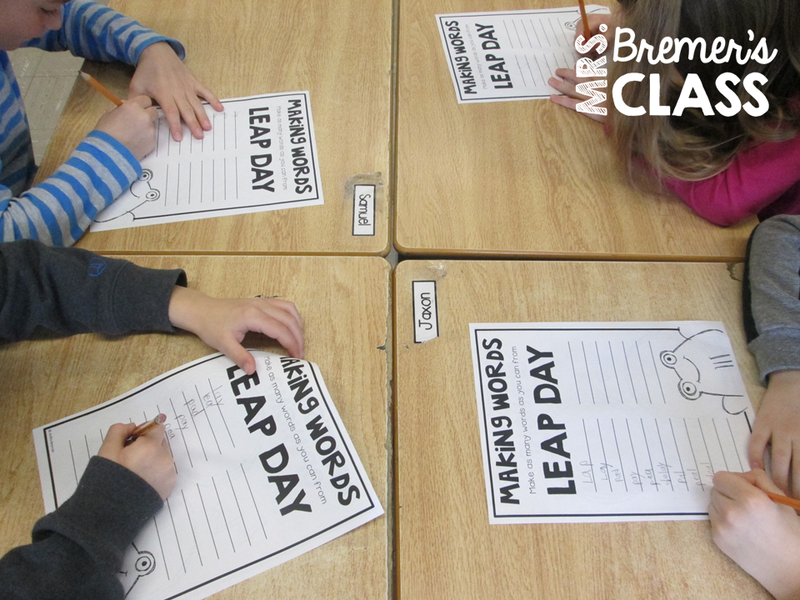 We also made as many words as we could from LEAP DAY. Since Leap Day is an extra day, we shared our opinions of extra things we'd like...and things we would not like more of. Did you do any fun Leap Day activities today? Love, Splat Activities and Freebies!